A combination of population growth and urbanization has resulted in ever higher land cost, making it impossible for many people to afford landed property. They have to make do with apartments. The lack of privacy, of a sense of community, of green open spaces, safe and secure for children to play; these are some of the drawbacks of apartment living. 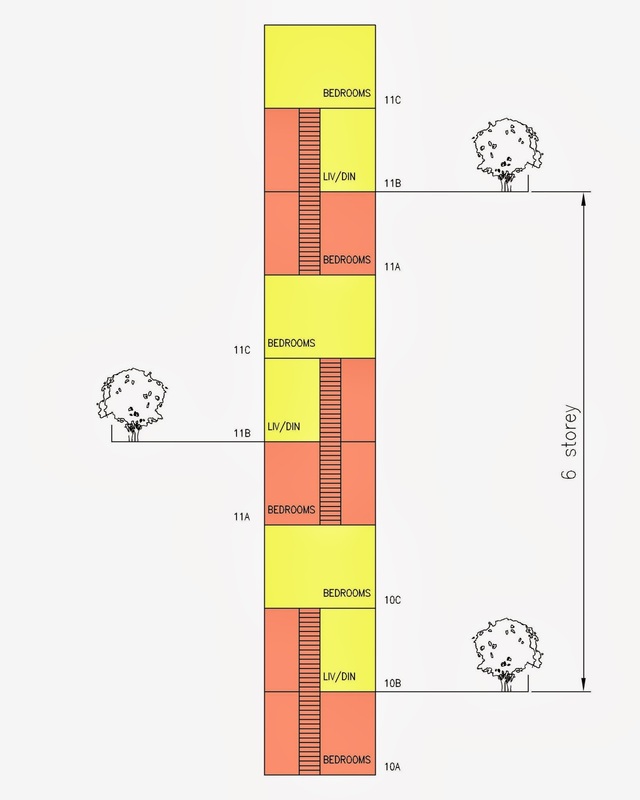 Most people believe that high rise housing is not suited for raising children, something that is reinforced by research in the last 50 years. In a survey of 129 scientific studies by Robert Gifford in 2007, not one concludes that high rise apartments are beneficial to children. Now imagine a new high rise design where the residents of its double storey apartments can walk straight out their front door onto their very own garden and a six storey high landscaped communal courtyard. Having such a generous provision of green open space can overcome the many defects of high rise housing. It can give ALL of its occupants, especially young children and the elderly, direct access from their front doors to courtyards with grass and big trees without the danger from cars and strangers. The orientation of the building can allow in plenty of light and ventilation but provides cover from direct rainfall. A 30-storey high rise residential building for instance will have car parks safely tucked away in the podium block. Above it are stacked 16 secure car-free courtyard neighbourhoods, each surrounded by 18 apartments or less. The many courtyards create ‘Neighbourhoods in the Sky’ where adults can socialise and children of all ages can play outdoors together, something that used to happen in Malaysian kampongs. 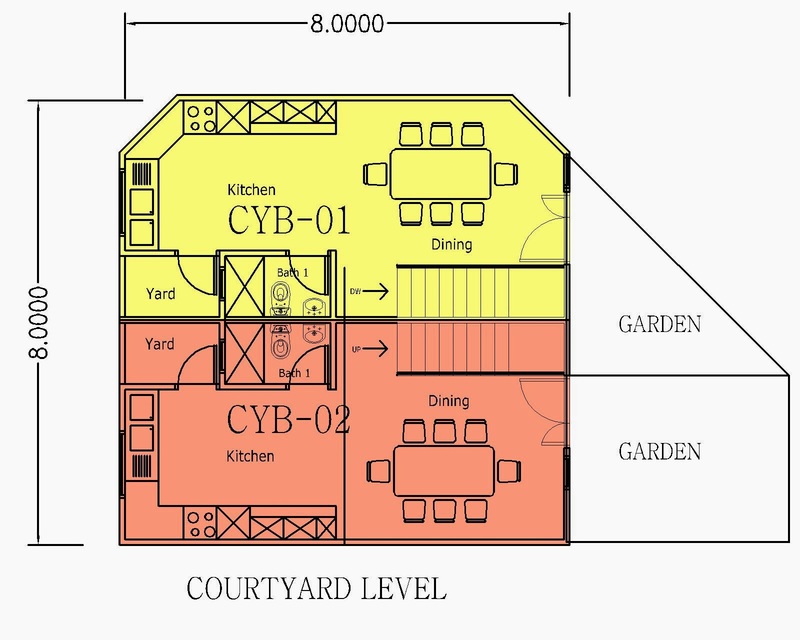 This arrangement of small groups of apartment households surrounding a communal courtyard makes it easier for neighbours to get to know each other and children can play in the courtyards under the watchful eyes of their parents and neighbours. In this illustration you can see the row of doors that open out to the courtyard. But how do we manage to provide access to all the other five floors above the courtyard level? And isn’t the cost of a building where all apartments open out to their own garden and communal courtyard going to be too exorbitant to be practical? 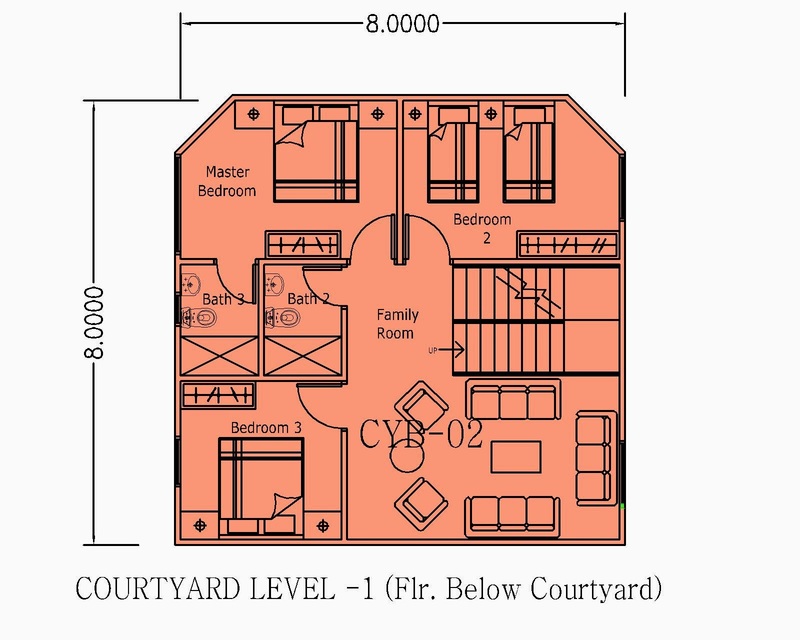 The basic module in this layout comprises two double storey apartments which occupy three floors, one placed on top of the other such that access to both apartment units is on the courtyard level. 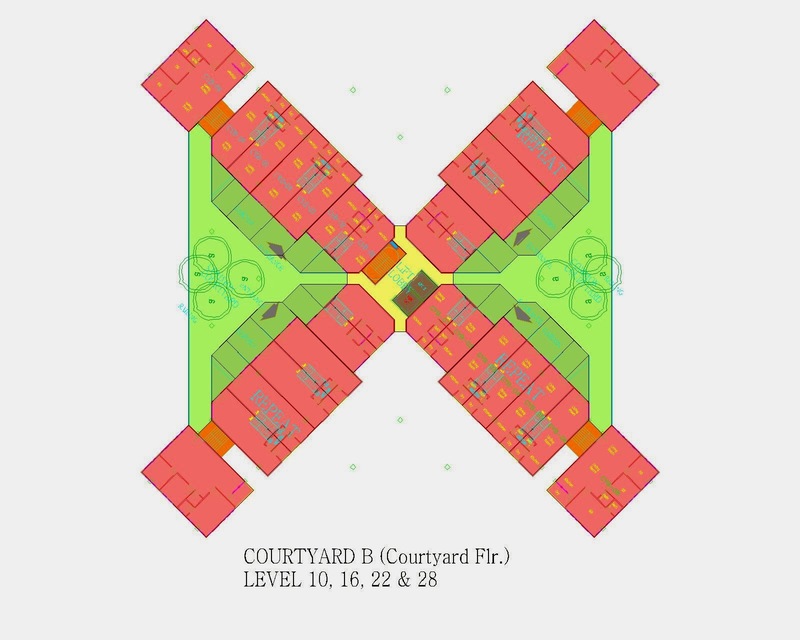 One unit is connected to another floor below the courtyard level, and the other joined to another floor above the courtyard level. Stacking two pairs of these interlocking apartments on top of each other produces a three storey high courtyard. 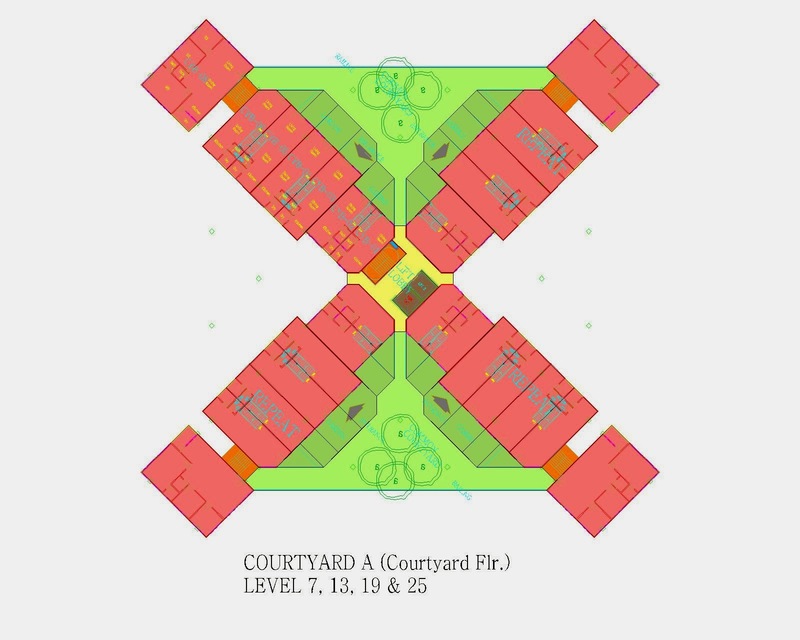 However, stacking these apartments on top of each other such that the courtyards flip from one side to the opposite side produces a six storey high courtyard. Courtyards in the sky are not new; 20 years ago renowned architect Ken Yeang introduced the idea of “sky courts” in Menara Mesiniaga and many architects have followed his lead in providing sky courts to apartment buildings. However, not only are the sky courts expensive to construct but sellable floor space have to be sacrificed to make way for them. There is no such opportunity cost for the “Sky Neighbourhood”. In fact, a substantial part of the courtyard can be allocated as private gardens belonging to each of the apartments, increasing saleable area and boosting revenue. Then there are the cost savings. 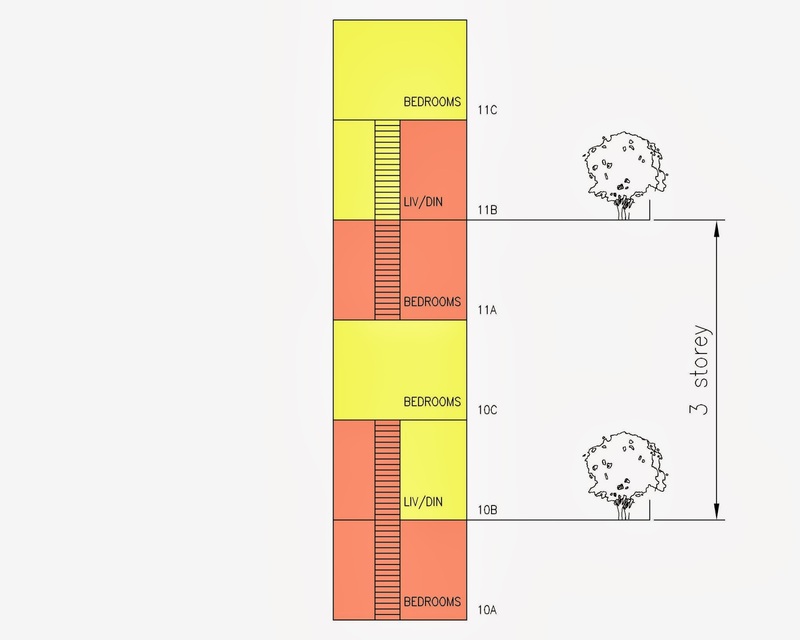 An analysis of a 30 storey design prototype of the “Sky Neighbourhood” showed that the layout is exceedingly efficient. Corridors are completely eliminated resulting in it having a drastically lower percentage of circulation space compared with all other types of apartment layout. Fewer lifts are required because they need only stop every three floors where the courtyards are located. With all the apartments accessed from open well ventilated courtyards, the danger from smoke in case of fire is much reduced, bringing down the cost of fire protection. These very important factors that increase revenue and reduce costs ensure that the “Sky Neighbourhood” apartment would be less expensive to build but generate more sales compared to apartments with conventional sky courts. But how does this new concept stack up against the ordinary type of apartments? Comparing the cost of a conventional apartment building and a “Sky Neighbourhood” apartment with an equivalent number and size of units, the latter is probably still more expensive. However, it is not if we take higher density into account. One of the main reasons for limiting the amount of units that can be built on any piece of land is the problem of overcrowding. Building higher and denser buildings people who are strangers to each other can contribute to social problems. 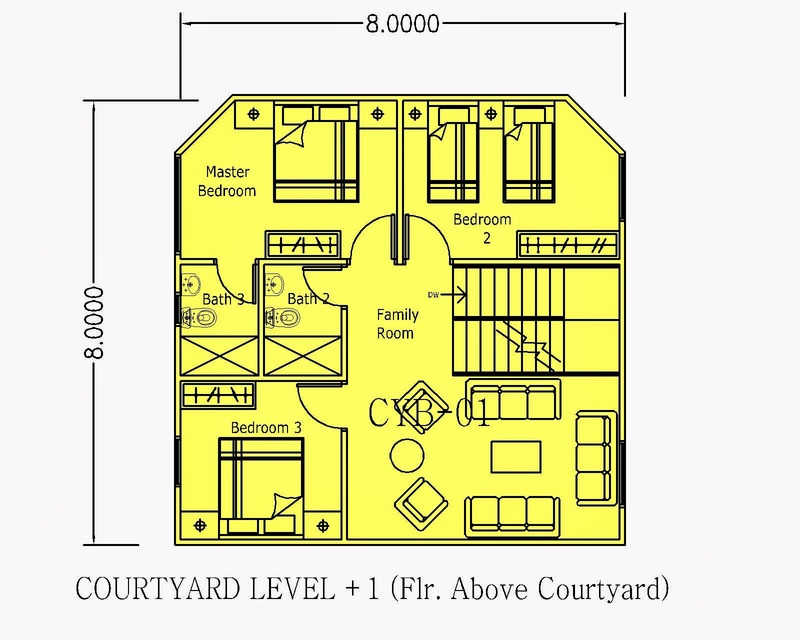 The “Sky Neighbourhood” can be seen as a cost effective way to humanize high rise housing by creating pleasant landscaped courtyards right in front of each apartment. It can be argued that with this concept, taller buildings and higher densities can be tolerated than would otherwise be contemplated. 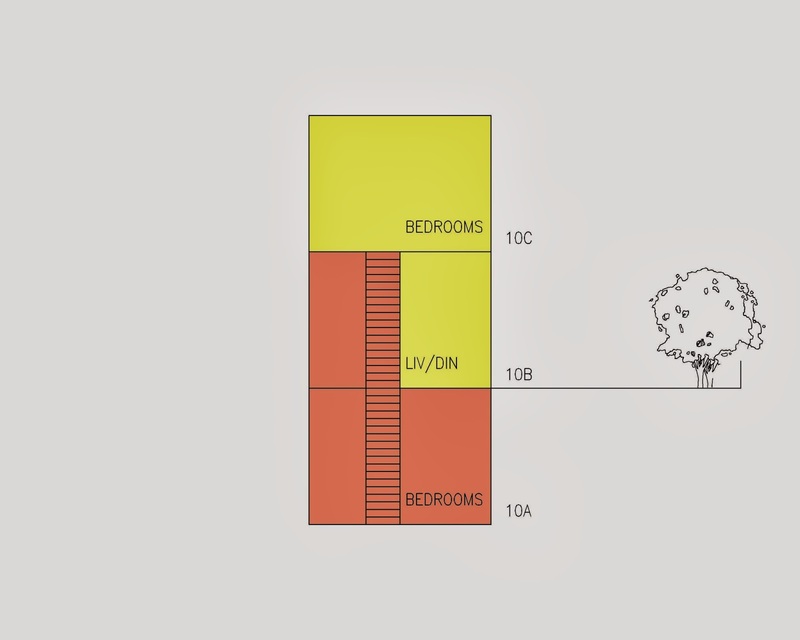 Even a small 10% increase in number of units allowed on a piece of land will result in savings that outstrips the additional construction cost that is incurred by the “Sky Neighbourhood” apartment compared to a conventional apartment building. This is unsurprising because the very reason for high rise housing is the increasing price of land. Thank you for sharing this interesting post! It is an amazing idea that could change the way high-rise residences are constructed. To have your own open space and garden in the sky is a hope that this is a dream come true! This was very informative. Thank you very much!